Auckland 100% Wool Carpet is a stunning wool carpet available in a range of earthy tones, to give that subtle charm to your interior. Wool carpets have had a reputation for quality and durability for hundreds of years. Wool as a fibre can withstand pressure, has a beautiful appearance and excellent appearance retention properties. The very best wool for carpet production is ‘string’ wool. This type of wool can be found on sheep breeds located in Britain and New Zealand. 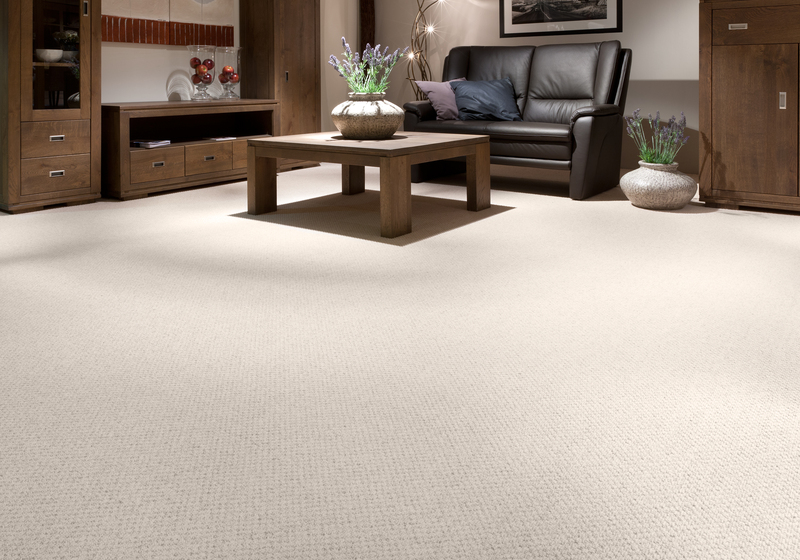 Many carpets contain both New Zealand wool and British wool; British wool is bulky, tough and offers a unique texture whilst New Zealand wool is a lot softer and whiter, which makes this the ideal material for plan or lighter shade ranges. Wool has an intrinsic strength and doesn’t necessarily need any other fibre to improve its performance, but in certain circumstances and for particular reasons it is often blended with other fibres, primarily man made ones. These wool rich hybrids will perform well in the home and below are just a few reasons why. As we mentioned previously, wool provides superb performance with its long lasting durability; it has a natural crimp which means it can offer a ‘bounce-back’. This means that the pile compression, tracking marks and shading are significantly reduced. This is why wool carpets are able to maintain such a good appearance over many years. Wool is a completely natural fibre, which means it contains natural oils. These oils are resistant to soiling so, for the most part, all you will need to keep your carpet looking good is regular vacuuming. Whilst wool will repel some spills, some quick thinking and an absorbent cloth are recommended, as the first part of a solution to those inevitable household spills. There’s nothing more luxurious than the comfort and warmth of a wool carpet. The wool is energy efficient as it will act as an insulator keeping your house warm. Wool will also absorb sound and will cushion the home against echoes and noise from the family. There remains a strong consumer perception of the link between quality, luxury and the feel and appearance of wool carpet whether 100% wool or wool rich. Wool is naturally fire resistant and has an extremely slow ignition rate. Your wool carpet will therefore act as a cushion which will prevent any serious injury in fall, from the young to the very old. 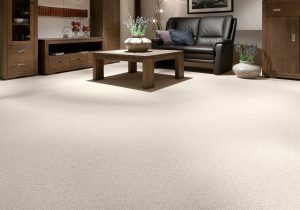 Above all, when it’s installed over a good quality underlay, which can also ensure that your carpet reaches, or even exceeds, it’s useful life expectancy. Wool is a natural ‘smart’ fibre and can help to create a balanced atmosphere in any home. It also has the ability to absorb humidity in the air and will then release it back when the atmosphere becomes dry. The minute scales of the wool’s fibres will hold fine dust until it is vacuumed, which will minimise any floating particulate in the atmosphere. The use of a good quality vacuum cleaner, of appropriate type for your particular carpet construction will again ensure that a carpet will look and perform as it should. Wool grows on sheep, which will graze freely and this is why it is 100% natural and fully sustainable. Shearing is a crucial part of caring for these animals and there is a fresh supply of wool available every year for the carpet industry. Wool is biodegradable in soil! It will produce nitrogen, sulphur, carbon dioxide and water which are all plant nutrients.